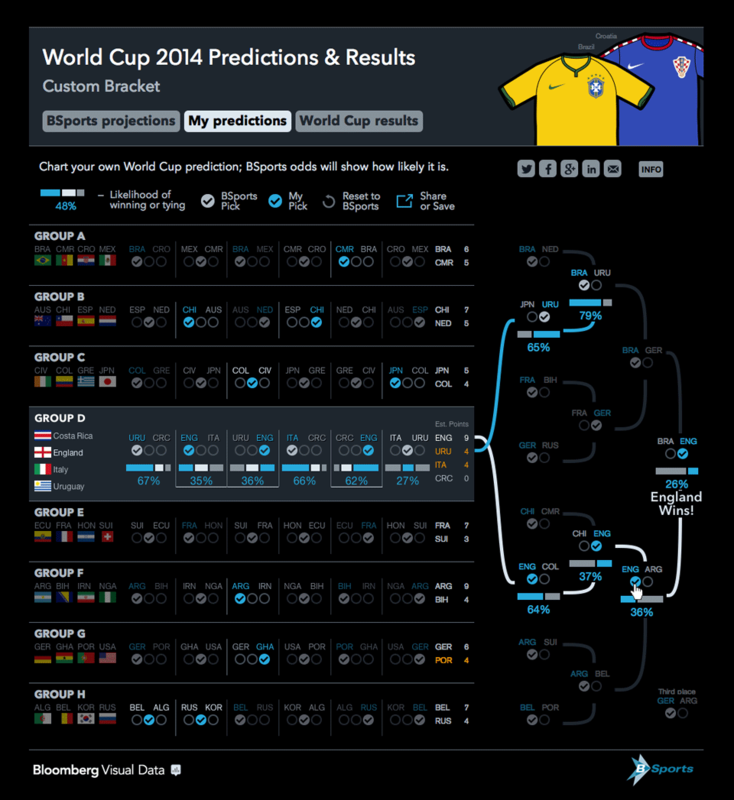 Using extensive data from Bloomberg Sports, this visualization tracks World Cup action and explores projected outcomes and displays match-by-match analyses. 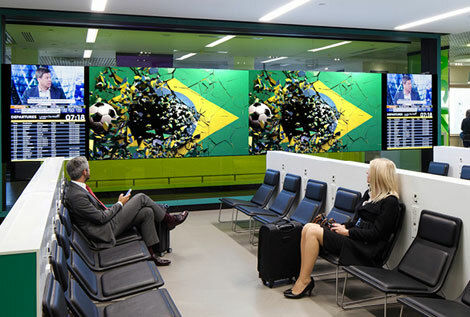 Bloomberg Sports simulated each match of the tournament over 100,000 times to create a highly probable projection for every potential outcome of the World Cup. The results determined BSports’ projections for each team’s odds of beating any other team as well as their final finish within the tournament. 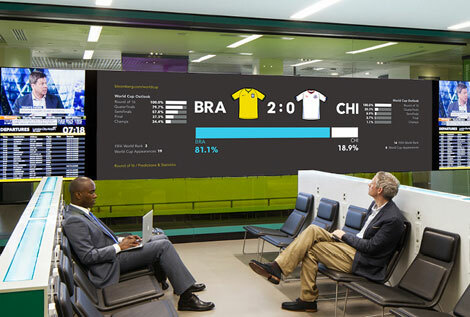 To showcase these projections, group play matches are represented by stacked bar charts that show the likelihood of winning or tying, while the knockout stage are presented as brackets, with the ability to highlight any team’s potential path to victory. 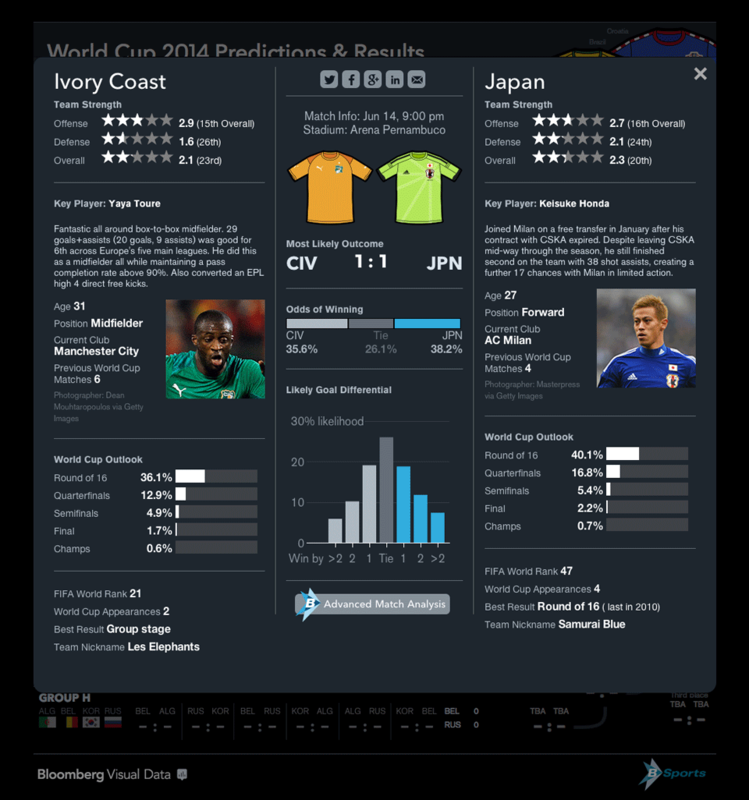 Detailed match information on any given pairing of teams. 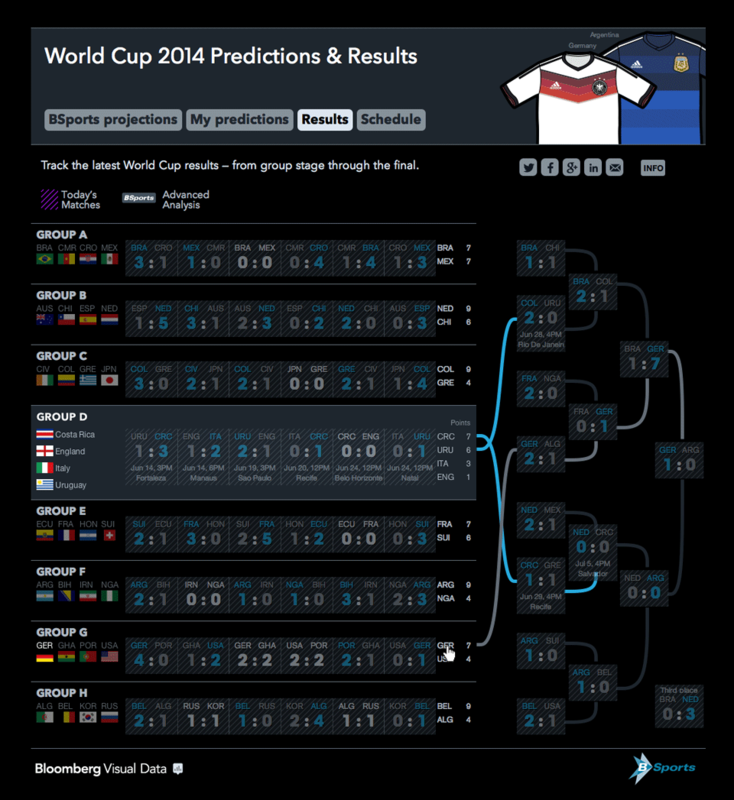 Using BSports’ projections as a starting point, users may pick the outcome of each match to create and share their own predictions. 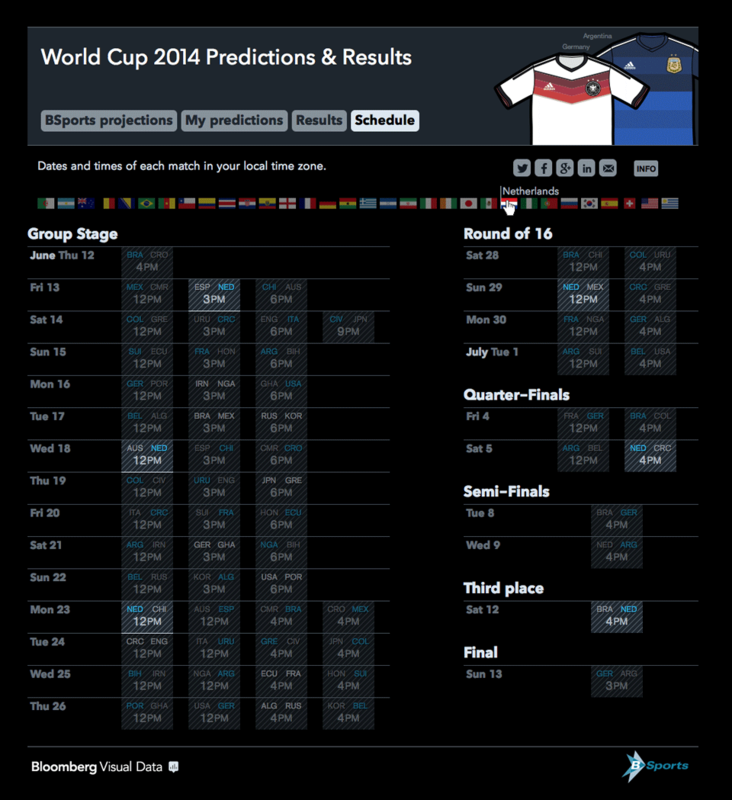 The results page shows the tournament’s current standings. 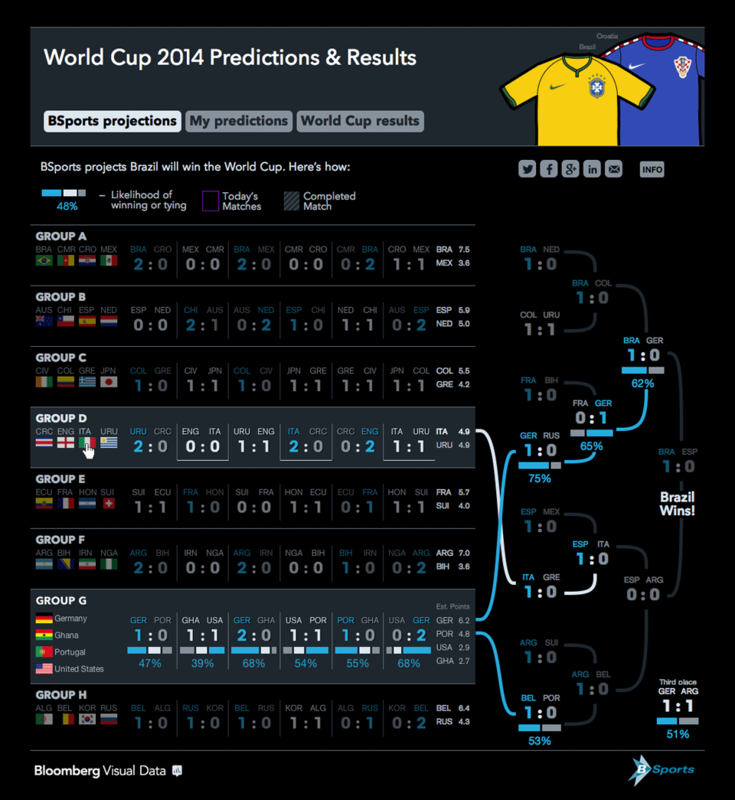 Following a match, these projections are replaced with the actual outcomes and each team’s odds of winning the Cup are recalculated. A schedule of the entire tournament: hovering over a country’s flag highlights all of that team’s matches.